HELP – WHEN I TURN ON MY BREVILLE BES 900 THE PUMP WON’T STOP! Yeah this happened to me too! When I turned on this machine, the main coffee pump ran continuously, just would not stop. I found a nice quick solution and here it is. If you have this issue, don’t go out and buy a new control board. Because my solution is far cheaper and a whole lot easier than trying to fit a new Breville control board and it just might work. They don’t make these machines to be repaired mate! – well not easily anyway. My first action was to check the probes on the coffee boiler, I shorted them out, and the pump still kept on running. So it was obviously a problem with the controller not the empty signal from the coffee boiler. No switch shorted either. I was betting it was a a triac tissue, it seemed likely, knowing Triacs like I do. The BES 900 has two pumps controlled by triacs, the coffee pump and the steam pump. 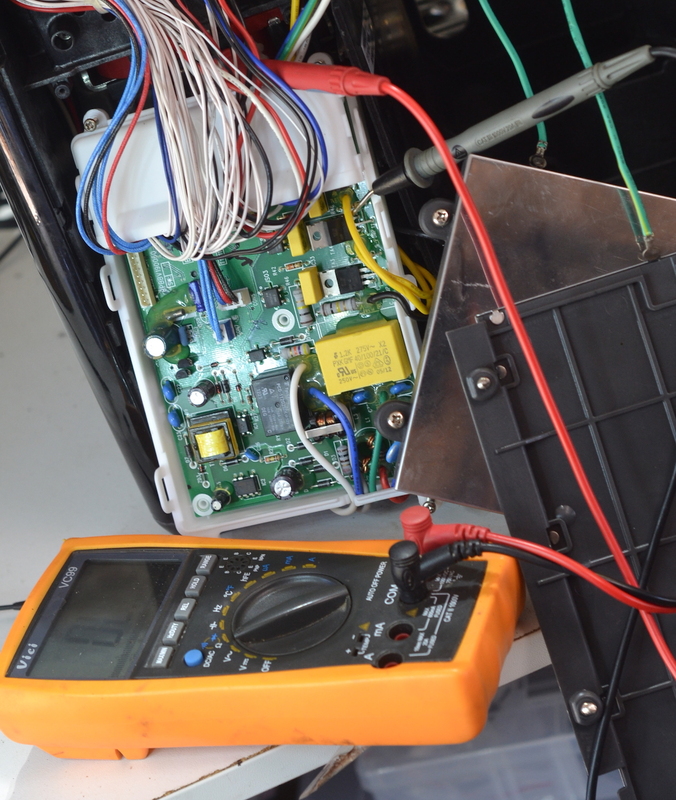 So the first issue is getting the right triac that drives the coffee pump. One is marked ‘c’ triac, the other ‘s’ triac and as you guessed, the ‘c’ triac is the one we want. ‘C’ for coffee I assume. By the way what is a Triac? 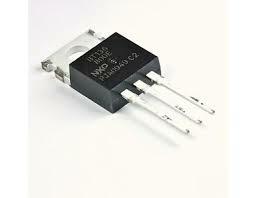 or more formaly a Bidirectional Triode Thyristor – google it but its an AC switch, cheaper, smaller and faster than a relay. By the way I turned the power off before I did all this. Actually I forgot but don’t you. Pull the plug out. Its really going to be a shocking experience if you don’t. I removed the red control wire from the coffee pump and found I had a short circuit to to all 3 legs on the coffee triac. This was obviously not correct and made me hopeful that it was indeed a triac at fault and not the controller itself sending erroneous messages to the triac to switch on. The triac is a BT36, available in our shop. This is the main triac Breville use. See it pictured below. I don’t know why its probably cheap. 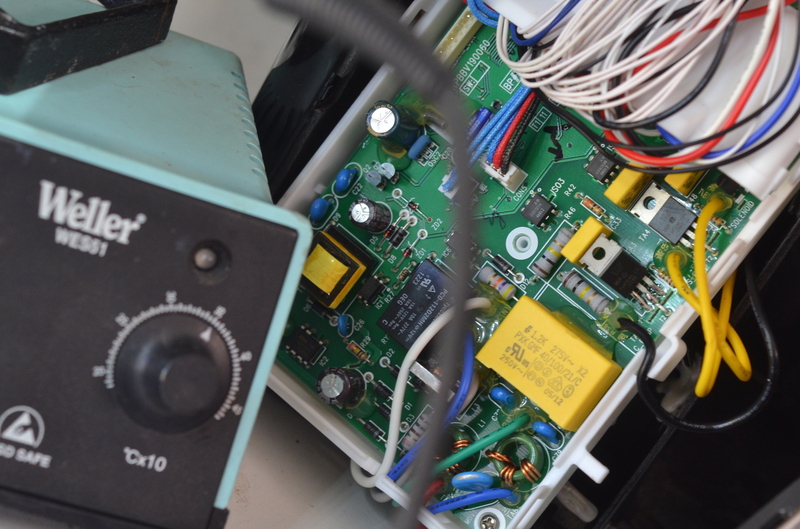 On a normal pump controller triac as in the BS 900. You’ll find low ohms, about 2, from the ‘T1’ leg to the red pump control wire. This makes sense. And You’ll find higher ohms, above 350 from the ‘gate’ to the red pump controller wire. There will be no circuit from ‘T2’ to the red pump controller wire. So if you find a circuit from T2 like I did you have probably got your man. Refer to the nice diagram I borrowed from another website. 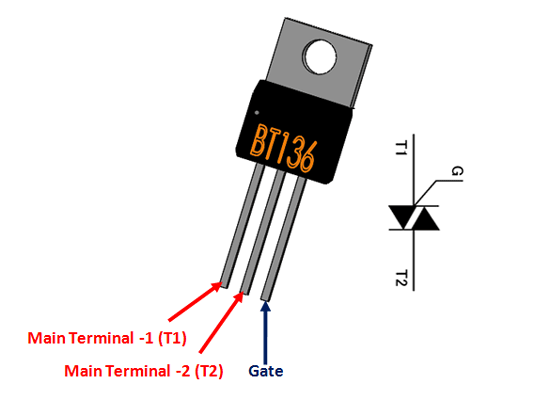 This will show which pin is T1, T2 and Gate. Now if you’ve ever removed a Breville control board. You’ll know it’s an exercise you only want to perform once. It’s a mission. And wires have to be cut and rejoined. So it’s best avoided especially when your customers don’t like paying for your time. I decided to do a quick and nasty job. I hacked the Triac off with the board still installed. Leaving as much of the component’s legs in place as possible. I’ve spot soldered the new triac onto the existing legs of the old one. The saved a ton of time. And I suggest you do it especially if you do not have all the tools required, like a solder sucker. Yes I have a solder sucker, can not live without it. You should probably get one too. When I got the suspect tiac out a test on the bench I confirmed it indeed had failed. Now I was almost happy. This job of course could’ve been so much harder. If the triac had not been at fault and instead it had been the controller itself or the optocoupler it would have been a much bigger job. But this was worth having a crack, despite not being the most beautiful fix. Once the new triac was fitted. I fired the machine up and sure enough the pump only came on when I switched on the hot water or once the machine was at temp when I made a shot. As it should.